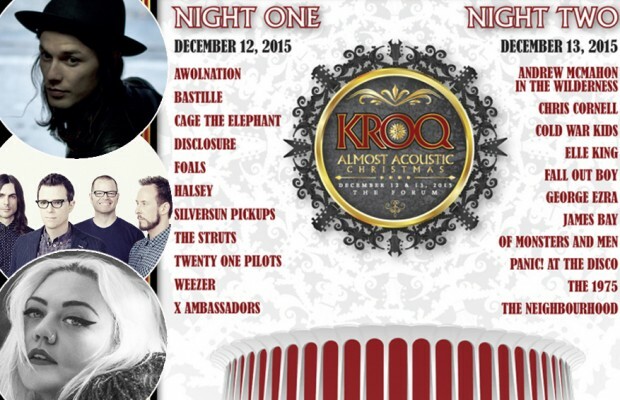 KROQ has announced it’s lineup for it’s 26th annual Almost Acoustic Christmas. The holiday concert has a tradition of bringing the biggest names in alternative/indie rock to celebrate the holidays. 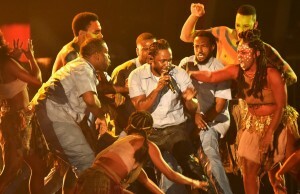 This year, the event will be held at The Forum in Inglewood, CA over two nights- December 12th and 13th. Night one will feature AWOLNATION, Bastille, Cage The Elephant, Disclosure, Foals, Halsey, Silversun Pickups, The Struts, Twenty One Pilots, Weezer, and X Ambassadors. Proceeds from the evening will go to Para Los Niños, a non-profit family service agency designed to raise at-risk children out of poverty and into brighter futures through positive educational opportunities and support. The second night boasts performances by Andrew McMahon In The Wilderness, Chris Cornell, Cold War Kids, Elle King, Fall Out Boy, George Ezra, James Bay, Of Monsters And Men, Panic! At The Disco, The 1975, and The Neighbourhood. The evening will benefit Al Wooten Jr. Heritage Center, which provides a safe after-school environment where hundreds of boys and girls in South Central Los Angeles participate in tutoring, learn important social skills and are guided to succeed in school and enter college. Tickets for both nights go on sale Friday, November 20th at 12pm. Get more details here.